Date: Nov 8 2018, 9:30 a.m. - 11:30 a.m.
Come join us for fun and friendship. 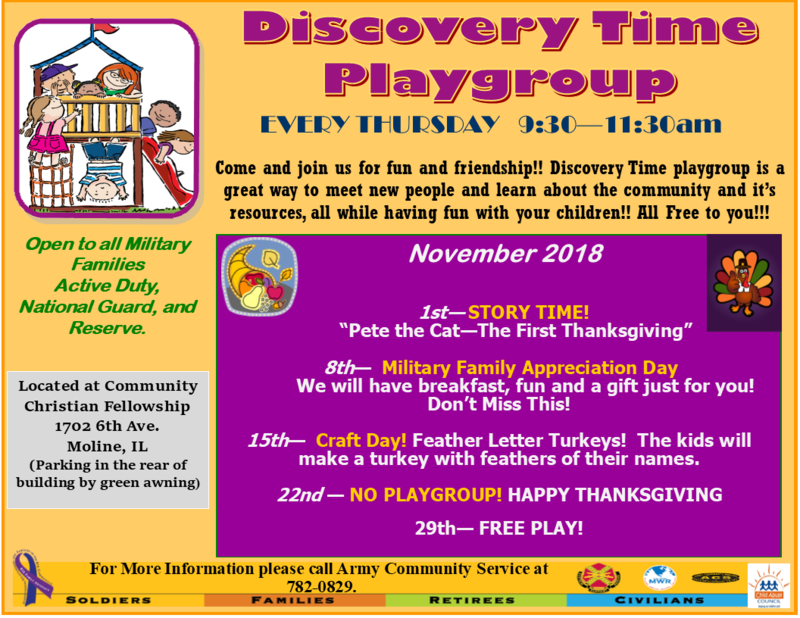 Discovery Time Playgroup is a great way to meet new people and learn about the community and it's resources, all while having fun with your children! All free to you! For more info, please call +1 (309) 782-0829.